New from Moroso- the Ford 5.0 "Coyote" 6-1/4" deep, front sump steel oil pan. LSX Magazine: "Moroso Releases Aluminum Coolant Expansion Tank for 2016 Camaro", Featured Article! New from Moroso - the fabricated aluminum Coolant Expansion Tank for the 2016-up Camaro. This tank replaces the factory plastic tank that is prone to fail in high heat situations. Check us out in PRI Magazine! We work late because you work late! The engines found in X275 are absolutely no joke. They are some of the baddest, most technologically advanced powerplants in drag racing today. With the explosion in popularity of the class, companies build components specifically to be X275 legal, and some of the biggest names in engine building are joining the fray, adapting their expertise to the class' parameters. 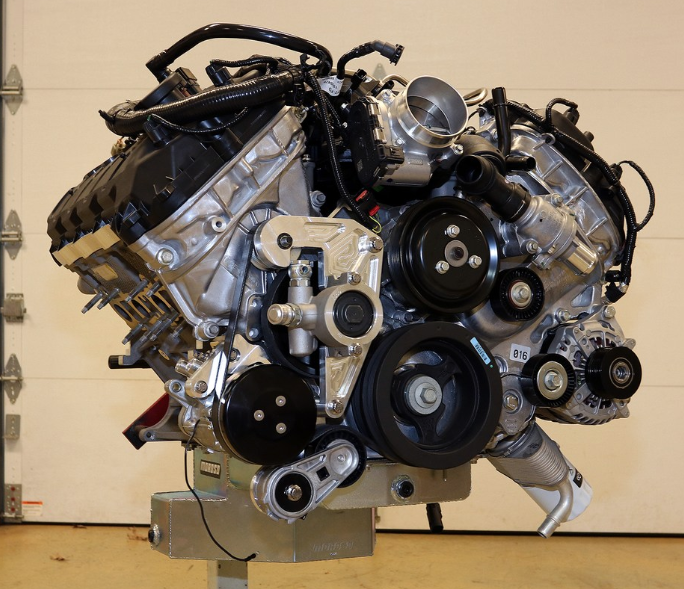 EngineBuilder: "Engine of the Month Spotlight", Featured Article! 4G63 Evo 8 Engine in the Spotlight featuring our Engine Block FIller! Video by Reher-Morrsion Racing Engines Facebook page. There is no arguing that, for a business to succeed, it needs some sort of Internet presence. Every day, thousands of would-be product purchasers are looking for that perfect item, and Moroso Performance Products understands that fully.